When you are training for a triathlon or swimming competition, one of the most important things that you need to do is to keep track of time. This is because you must know how fast you are going and how well you can beat the competition. Some people have coaches who keep track of the time for them but not everyone has that privilege. So what do you need when you train alone? The most basic piece of equipment that an athlete need is a stopwatch. But is there a multifunctional watch that can last in the wind, rain, and elements of nature without conking out? We discovered just the perfect watch for the job. The SKMEI 9108 is part of the multifunction racing series. It is wear and corrosion resistant, made of stainless steel, and has a specially made buckle so it stays strapped onto your wrist while training. Most importantly, it is powered by Japanese quartz thus ensuring the accuracy of the time down to the millisecond. 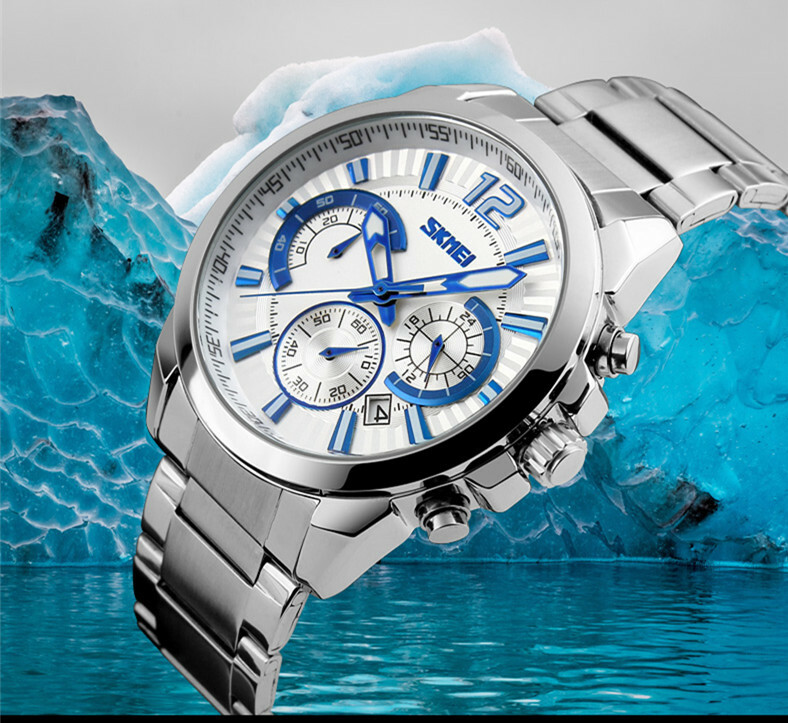 The SKMEI 9108 is water resistant to up to 50 meters. This leaves you free to train as long as you want and as hard as you want. This is perfect if you are training for competitions, practicing laps, or just taking a leisurely dip in the pool. You never need to take the watch off! You can even bring the watch with you as you take a bath, wash your hands, and there is no need to hide the watch from the rain. It is made with German high hardness glass which means it can take a beating. If you land in a mud or manage to fall from your bike during a race, you will still be able to get an accurate reading from the watch. This is because the watch was built specially for athletes and people training for competitions. It is also made with Zinc Alloy IP black plating and has a stainless steel back. The SKMEI 9108 has an independent stopwatch, dial, and date so you will be able to get the information that you need with just a moment’s glance. But not only is the watch functional, it is fashionable too! It comes in the following four different color combinations: black and white, black and silver, pure black, and white and silver. 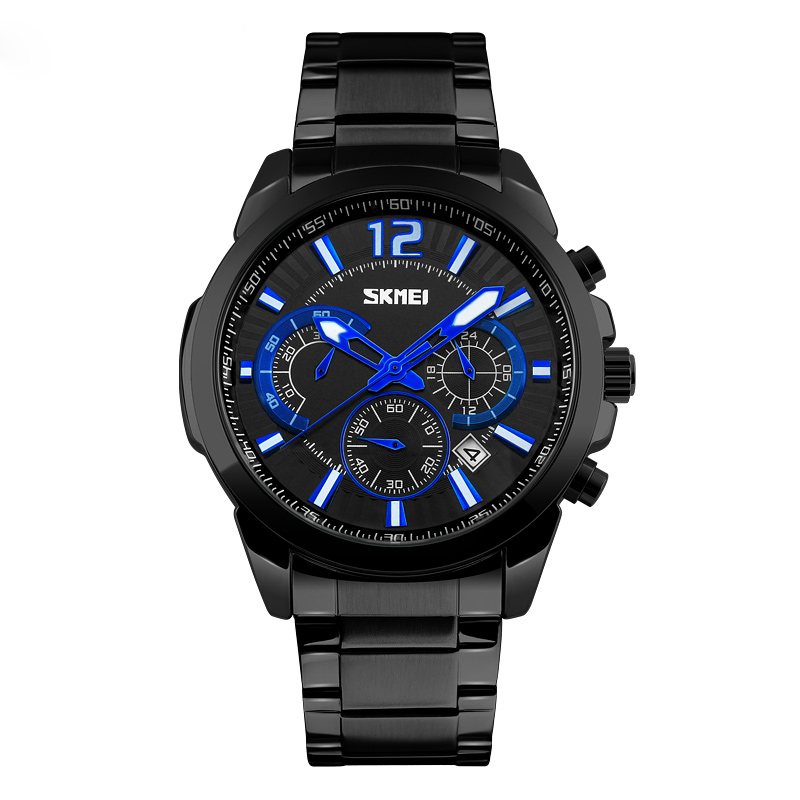 If you are an athlete and want to train, this watch is perfect you! It can be used in any kind of weather, withstand the forces of nature, and can be submerged in the water for extended periods of time. It is highly accurate because it has been built with high quality Japanese technology. 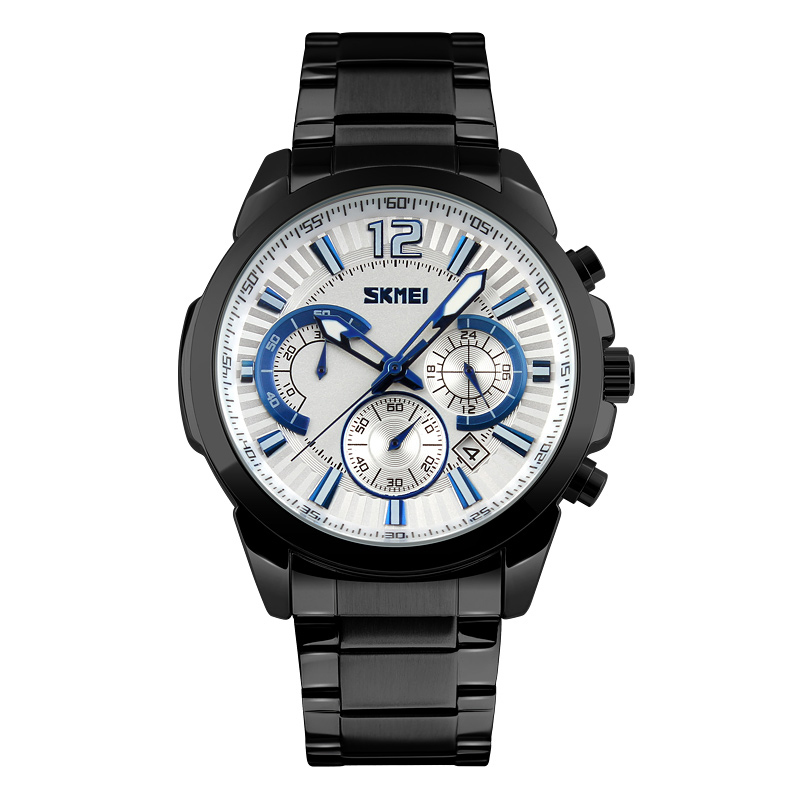 Compared to most sports watches, the SKMEI 9108 is not only functional it is fashionable and affordable too. Buy the SKMEI 9108 today! It is definitely worth it.